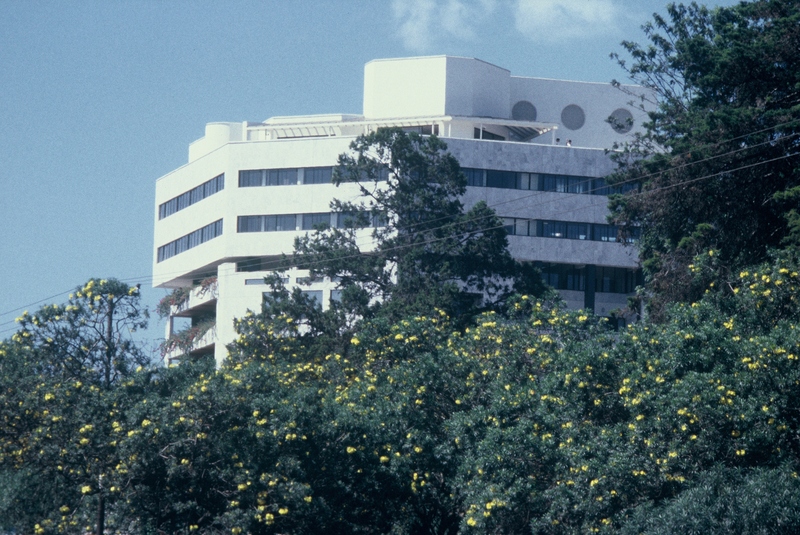 “House of Vanguard” an 11-story office building (75,000 ft2) was completed in 1991 and was the first Green Building in Kenya. Passive and active design techniques such as cross-ventilation, internal atriums, openable windows, sun-shading, double-glazed orientation, hanging planters, flat roof gardens etc were utilized to capture the wind, block the intese UV radiation and ensure that no artificial air conditioning was required during the hot months. Hitesh participated in the site analysis and design, constructed alternative models and prepared floor plans, elevations and sections. Hitesh also implemented all the landscape design.